I have a confession: I just opened my project life kit today even though I got it in the mail a week ago now. It sat in the box staring at me. I just couldn't bring myself to take on a new project before the old one was done. 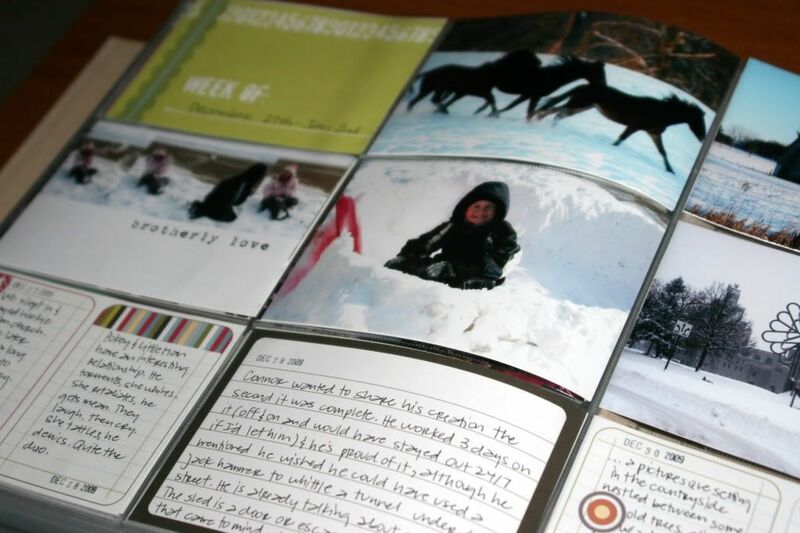 I stayed up late last night and caught up with all my journaling for the last 3 weeks. I'm only 2 weeks behind now for 2010, but I actually didn't even have all of my supplies for my project 365 until February last year. At least that's what I'm telling myself. The journaling was by far the hardest part for me. I do keep a journal, but it's on my computer- and a bit sporadic. Writing it by hand is much more of a challenge, but I rose to the occasion and it is offically done! One day I may even be grateful to have my words in my own handwriting. "May" being the operative word. The 2010 kit is called Project Life and even the box is beautiful. If you haven't got one yet you are in luck. They are going to be available on amazon.com starting Jan 22nd if rumors are correct. Unlike last year there will be plenty available. I'm already loving this kit. It has fun colors and the best part is that it is all there. 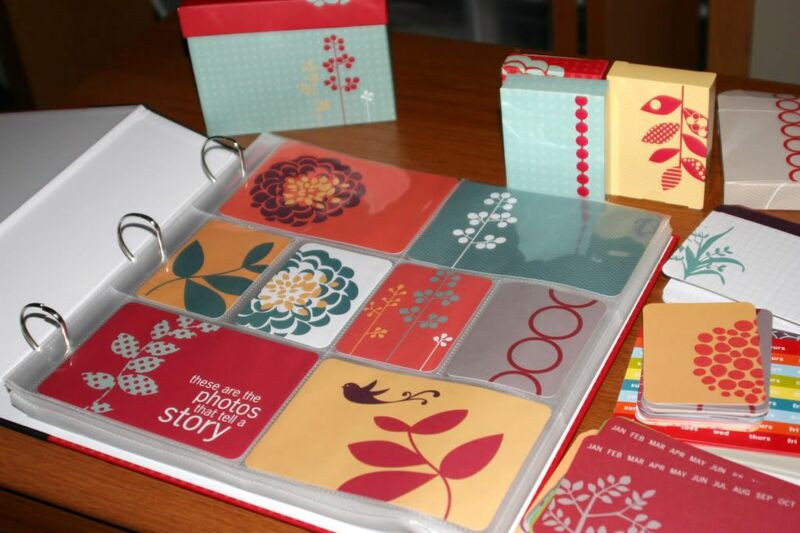 For $39.95 you get the binder, divided pages, the journaling cards, monthly cards, and much, much more. I don't even want to think about what I actually spent last year to do my own kit. Becky Higgin's Project 365 kits were sold out the first week of January last year and I was too late. I used an album I already had and found some divided pages at Hobby Lobby and made it work. I was excited when she offered some of the kit digitally, but it meant I had to print out everything before I could even start journaling. It was a challenge to keep up with, but I somehow managed. The ink alone to print that many cards was well more than the kit would have been. I'm grateful that I have it this year. Not sure how I'm going to approach the journaling though since I've decided to do it by weeks rather than days. Gonna play that one by ear. I've heard that she will have some or all of the kit available digitally, but I highly recommend you pay the $39.95 and just get the paper kit. Not only will it save money, but loads of time and energy. Just think of all the cutting you won't have to do. Well worth it! If you want to learn more about Project Life there is a very informative video you can watch. Click here. 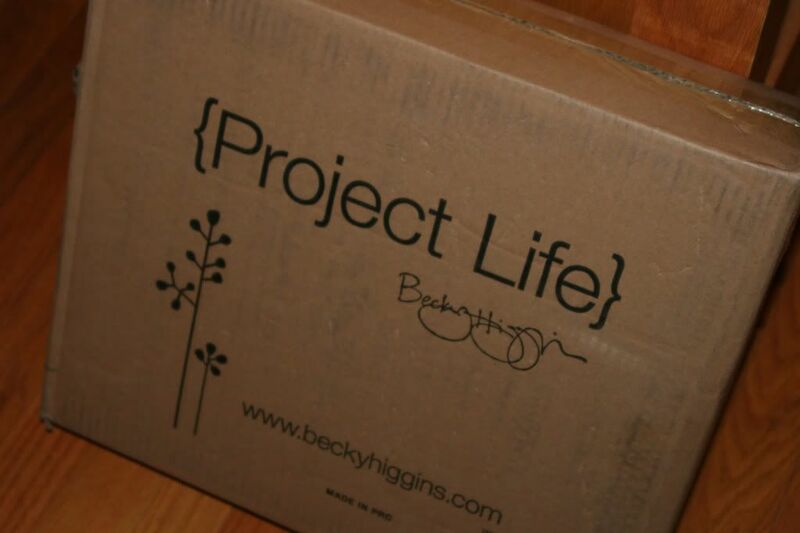 To keep up with all of the latest info on Project Life, go to http://www.beckyhiggins.com/. Good luck. I'd love to hear how it's going. It looks really beautiful. Maybe next year. I sooo love my kit. I'm keeping up and have started putting it together and journaling.